Health officials in California have opened an investigation into an incident that left three people dead and another five hospitalized after eating at a community Thanksgiving for “senior citizens, homeless, and people who would have otherwise been alone,” KTVU reports. Authorities said it was currently unclear what sickened eight of the 835 people who ate at the American Legion Hall in Antioch, California, on Thursday, but the general public is not believed to be at risk. 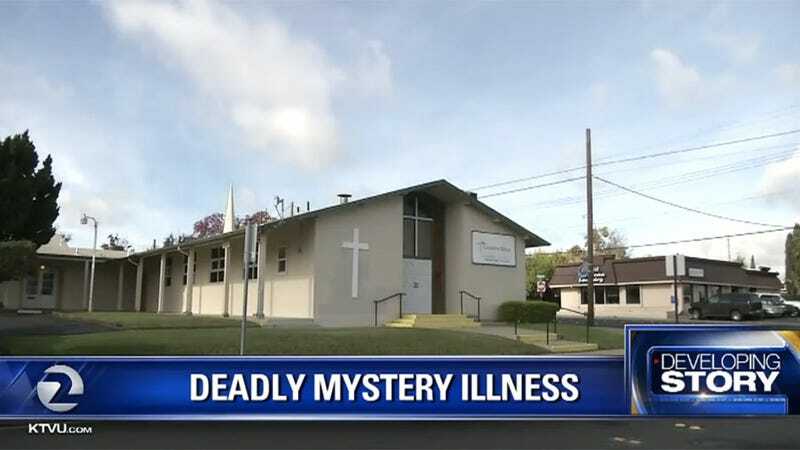 “If it were [an outbreak], we’d expect to see a lot more people getting sick,” a health services spokesperson said at a press conference on Monday. Because all of the victims lived in the same facility, the deaths could not be conclusively linked to the Thanksgiving dinner. However, officials said the illness was likely food-borne. Autrey James, commander of the American Legion post, told the East Bay Times that a nearby church organized the event, not the legion itself.